Hungary has made significant progress in decoupling its output growth from main environmental pressures, largely due to implementing requirements of EU directives. However, greenhouse gas emissions have started to pick up with the recent rebound of economic activity. Local air quality has not improved significantly, and water quality remains at risk. Important institutional challenges impede more effective implementation of environmental laws and policies. 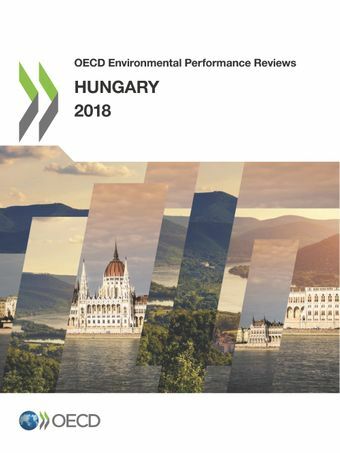 Hungary can accelerate the transition towards a low-carbon and greener economy, particularly by investing in residential energy efficiency and sound waste and material management, and better mainstreaming of biodiversity protection into sectoral economic policies.This is the third Environmental Performance Review of Hungary. It evaluates progress towards sustainable development and green growth, with special features on waste, material management and circular economy, and biodiversity. 28/06/2018 - Hungary has made progress on greening its economy and now needs to raise its ambitions. Read the full press release / Magyar. For more information on this review please contact Eugene Mazur, Review Co-ordinator for Hungary.